There has been a reclassification to the listing of Twmpau (thirty welsh metre prominences and upward) hills due to analysis of LIDAR data by Kevin McGovern and also independently by Aled Williams, and subsequently confirmed via a survey with the Trimble GeoXH 6000. The hill has been reclassified from a 200m Twmpau to a 200m Sub-Twmpau, with the criteria for the former being all hills in Wales at or above 200m and below 300m in height that have a minimum drop of 30m, and the criteria for the sub category being all hills in Wales at or above 200m and below 300m in height with 20m or more and below 30m of drop. The hill had been listed with an estimated drop of c 53m based on an estimated bwlch height of c 244m and the 297m summit height positioned at SN 807 098 derived from the spot height that appears on the Ordnance Survey 1:25,000 Explorer map numbers 12 and 165, whilst the Ordnance Survey 1:50,000 Landranger map number 160 gives a 298m summit spot height at the same position. 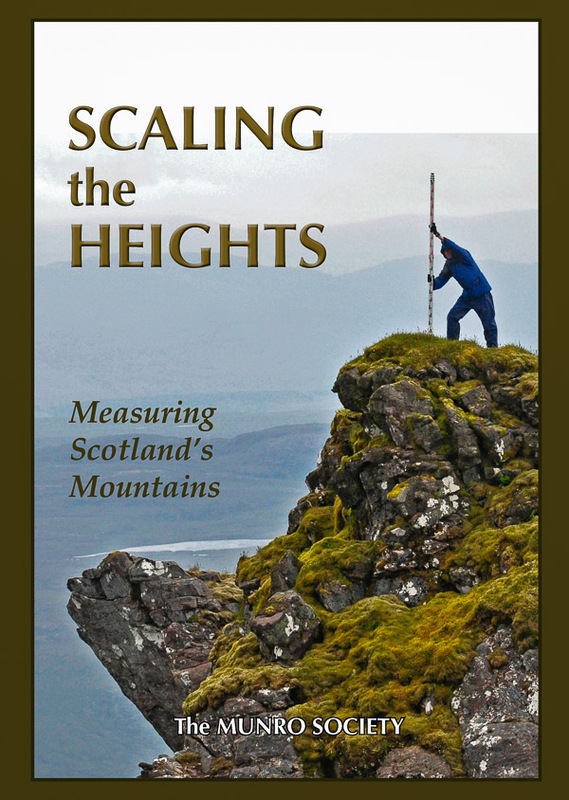 This latter spot height is derived from the 978.1ft (298.1ft) height on the Ordnance Survey old Six-Inch map. When this hill was originally listed in the Welsh P30 lists on the v-g.me website it had an accompanying note which stated ‘3 points of 300m on 1985 map may probably no longer exist (quarrying)’. The hand written Master List stated ‘Due to opencast workings the three points of 300c at GR 830 112 on 1985 1:50,000 map probably no longer exist’. These three points are in the vicinity of where a 984ft (299.9m) height appears on the Ordnance Survey old Six Inch map and in all likelihood signified where the summit of this hill was once positioned. Since this time the opencast workings which take in the northern and eastern part of the larger hill known as Mynydd y Drum have destroyed the old 984ft (299.9m) summit, but in its place are two separate hills comprising the spoil from the mine workings, with this Hill Reclassifications post concentrating on the remaining ‘natural’ and now lower of these three summits. Prior to analysis of LIDAR data Mynydd y Drum was listed with one summit, but due to opencast mining a further two summits have been created which are artificial and comprise the remains of waste spoil, the hill which this Hill Reclassifications post details is the remaining ‘natural’ summit, which is now lower in height compared to the two artificial summits, this has resulted in new bylchau heights and positions and also drop values for these three hills, all of these will be detailed in this and the two previous Hill Reclassifications posts, with the other two hills being Teisen Priodas (SN 820 108) and MRF Tip (SN 828 114). The hill is adjoined to the Fforest Fawr group with its Cardinal Hill being Fan Gyhirych (SN 880 191) and is placed in the Region of South Wales (Region C, Sub-Region C2), and is positioned between the small town of Ystradgynlais to the north-west and the village of Blaendulais (Seven Sisters) to the south-east. The upper part of the hill is situated within open access land and can be easily accessed from a number of public footpaths that emanate from Cwm Tawe (Swansea Valley) to the north-west and from Cwm Dulais (Dulais valley) from the south-east. The name of the hill is Mynydd y Drum and its reclassification to a 200m Sub-Twmpau is due to the analysis of LIDAR data by Kevin McGovern and also independently by Aled Williams. LIDAR (Light Detection & Ranging) is highly accurate height data that is now freely available for much of England and Wales. 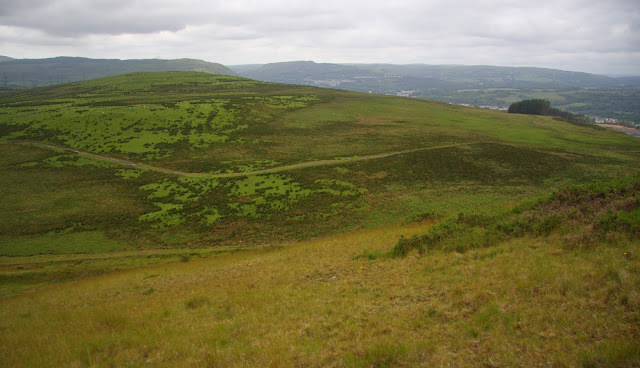 Therefore, the 296.1m LIDAR data produced for the summit position at SN 80720 09754 and the 271.8m LIDAR data produced for the bwlch position at SN 81526 10520 is sufficient for this hill to be reclassified from a 200m Twmpau to a 200m Sub-Twmpau with 24.3m of drop, with the details from the Trimble GeoXH 6000 survey being 296.2m (converted to OSGM15) summit at SN 80718 09753 and 271.4m bwlch (converted to OSGM15) at SN 81526 10519), giving this hill 24.8m of drop. This now revises the total in the 200m Twmpau and the list will be updated accordingly. My thanks to Mark Jackson for bringing the details of this hill to my attention, and to Kevin McGovern and Aled Williams for their analysis of LIDAR data.